Sure with the weather getting colder and cozy blankets and holiday movies becoming so much more enticing it would be easy to throw your exercise regime to the side and replace it with a warm mug of hot chocolate, but don’t do it! Here are two upcoming run events in Toronto that will be sure to motivate you to step away from the Elf rerun and run! Dec 16th, 7-9pm. Light It Up Run hosted by lululemon. The Queen st. W Lululemon invites you to join them in their 4th annual Light It Up run, holiday style! The 7km run will travel through Toronto’s best light displays, leaving you feeling breathless and full of holiday joy. After the run, join them for some post-run fun! Meet at the store for some sweets and treats. Dec 18th, 7-8pm. Ugly Sweater Run hosted by Oakley Active and Tribe Fitness. Bring out those ugly holiday sweaters and Santa hats! This week Tribe fitness and Oakley Active are sweating in holiday style with a 6km holiday themed fun run. They will be checking out the glowing holiday lights of the downtown core on a route that will have you up along Bloor, down to Yonge Dundas Square, back along Queen and finishing at the Queen and University Starbucks, so bring your debit card for an optional post run treat. 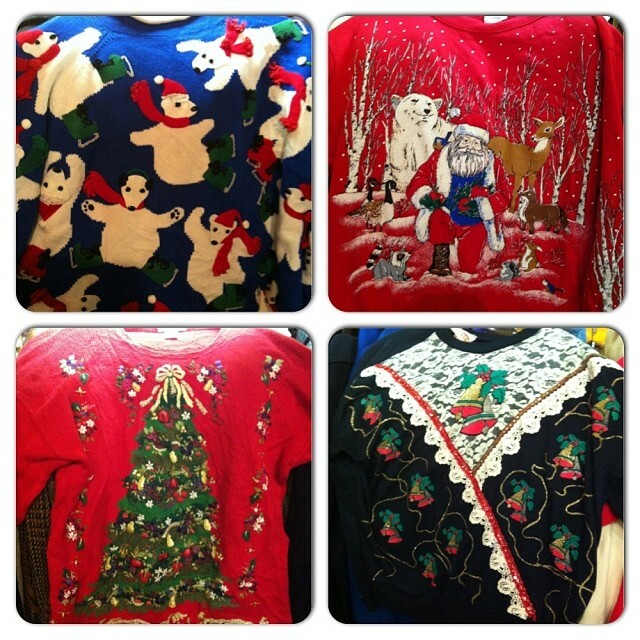 Now which ugly sweater to wear? All levels of runners are invited to both events. Hope to see you at one or BOTH! Dec 13th, 5-5:45 and 6-7pm SpinRave hosted by Tribe Fitness at Barreworks. 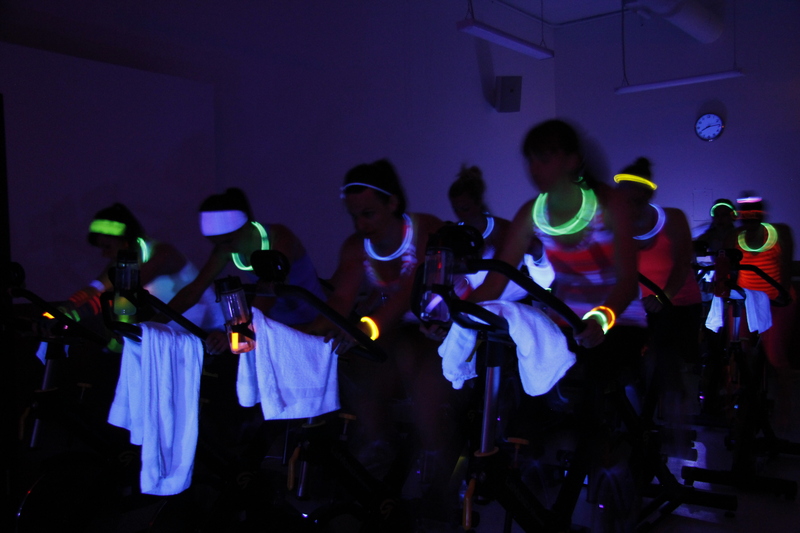 Glow sticks, black lights, and sweaty cardio beats, join me as I lead our monthly SpinRave at Barreworks on Queen and Bathurst. Two class times to start your weekend off right. Are you getting your sweat on in fun holiday themed ways this winter? Share them in the comments! Thanks so much for sharing! I am back in Toronto this weekend so I hope to make the run on Dec. 16. I’d love to see some of the holiday lights at the same time!